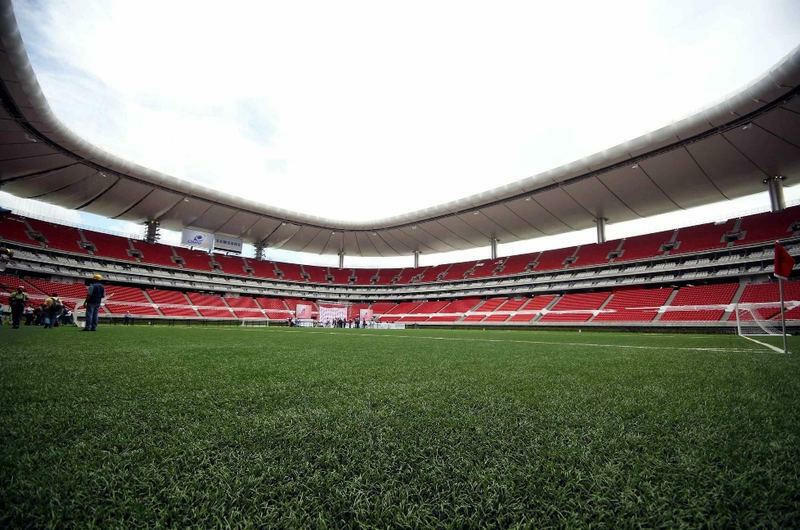 When it was announced, people called it simply as Chivas Stadium or, more symbolically, as “El Templo Mayor”, referring to the famous temple in Mexico City. 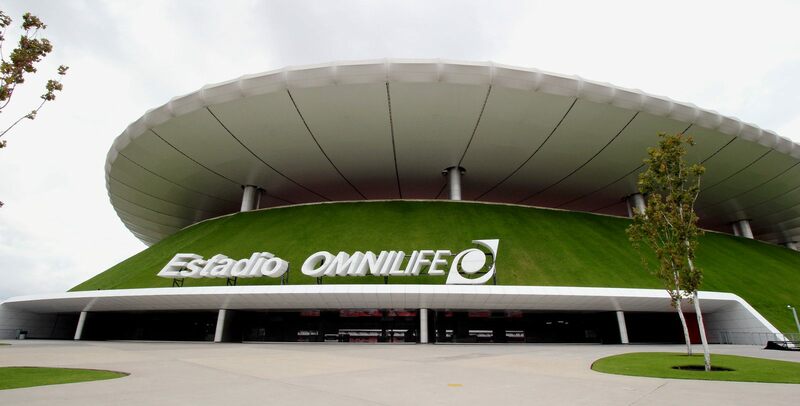 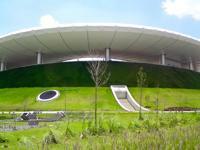 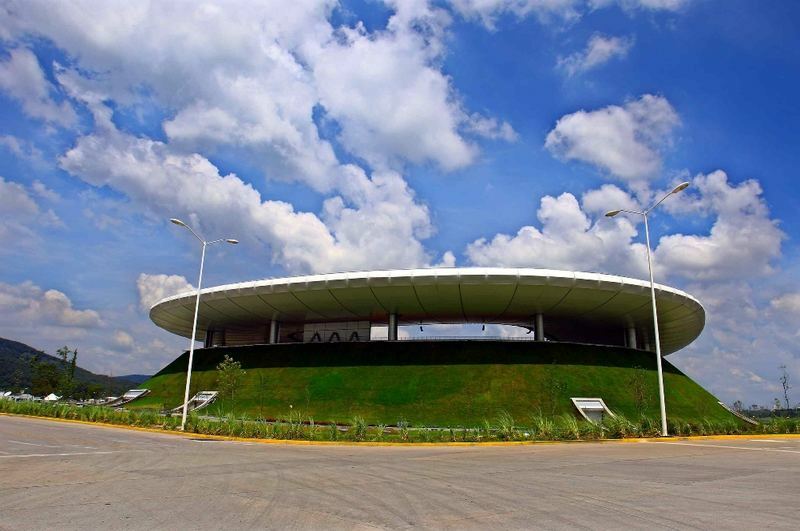 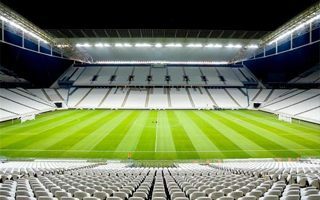 After construction it received the commercial name of Estadio Omnilife. 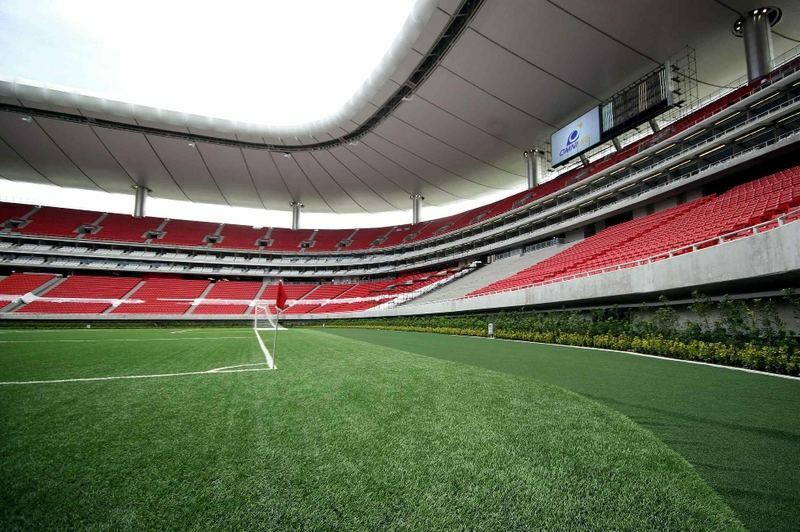 First works started in February 2004, less than 2 years after Jorge Vergara, billionaire and owner of the ground bought Chivas. 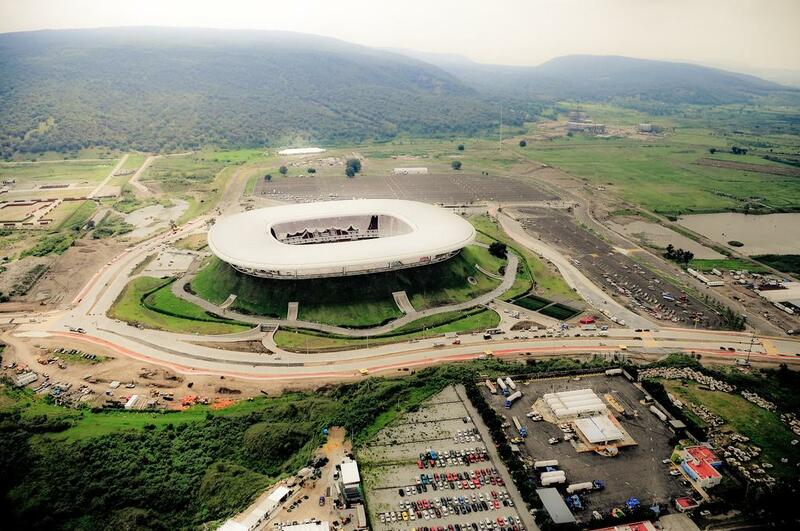 Due to insufficient funding construction was halted several times and ended after 6,5 years. 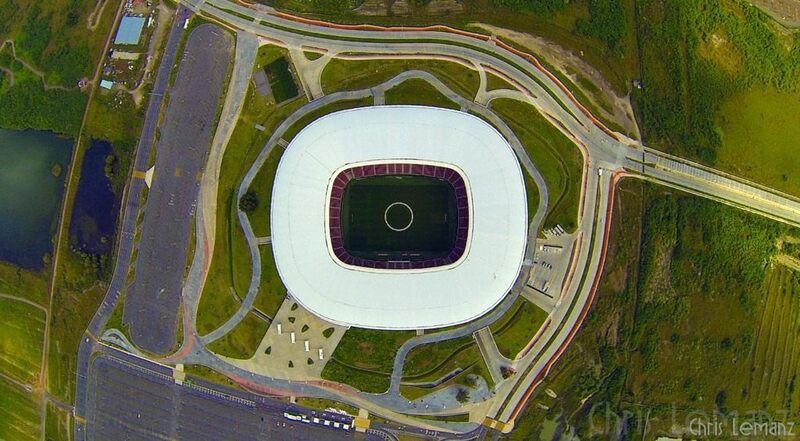 The iconic part of this stadium is it’s hill-like shape. 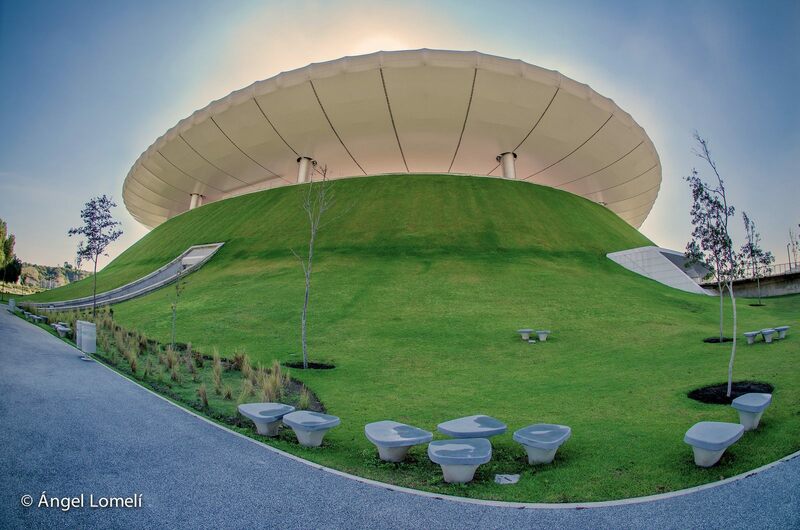 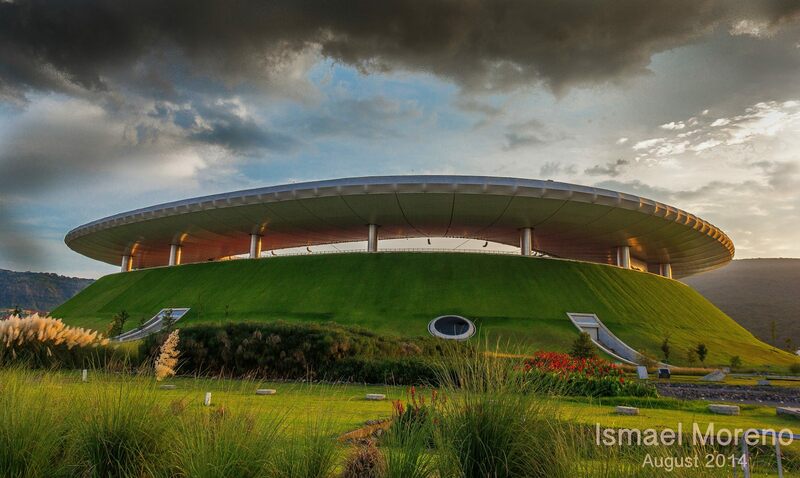 Concrete shell cast on site was covered with 70,000 m2 of grass to create a dynamic and yet fluent connection with surrounding landscape. 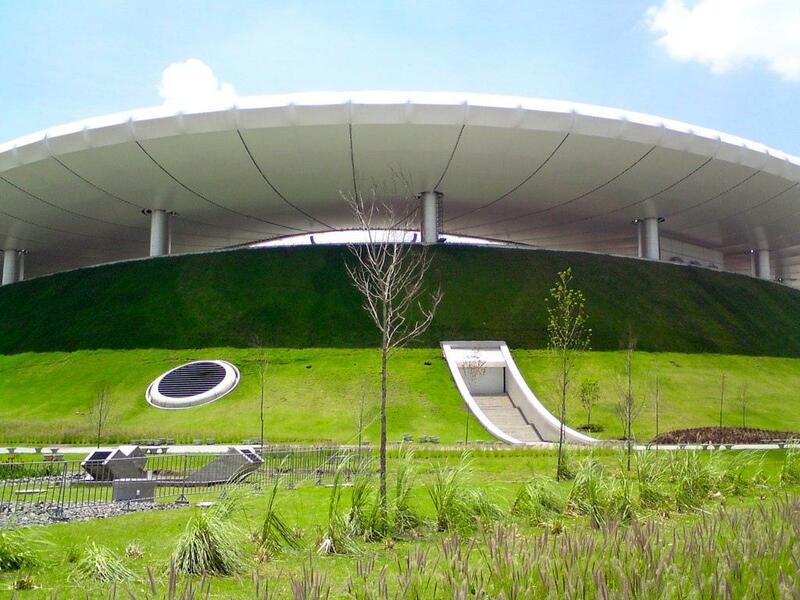 This was the idea of VFO architects, who made it almost like a volcano with red crater of double-tiered seating and a white cloud of the roof, nearly levitating thanks to only 16 supports. 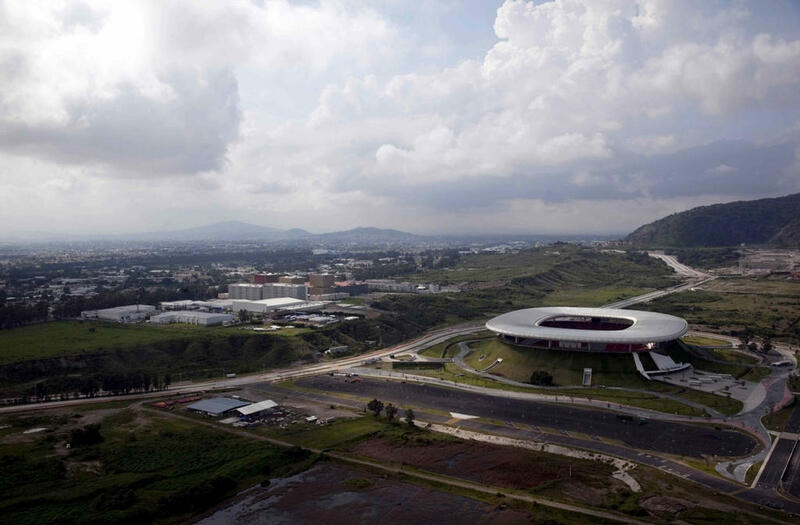 Budget planned at $129m was in the end exceeded and reached some $149m. 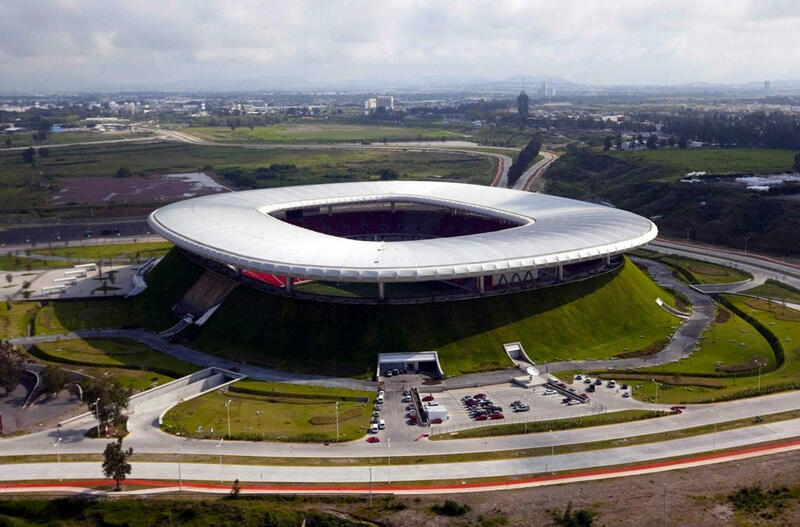 This is still a fair price, taking into account capacity of almost 50,000 people and extensive infrastructure. 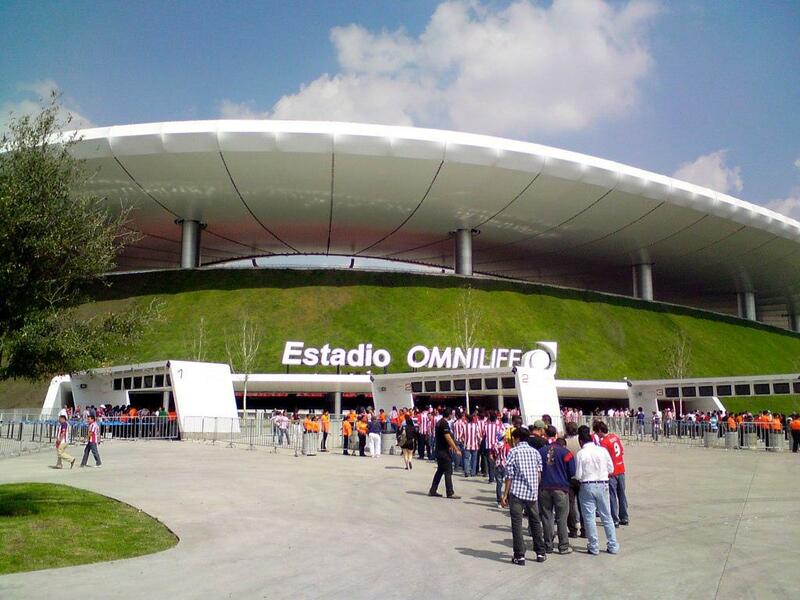 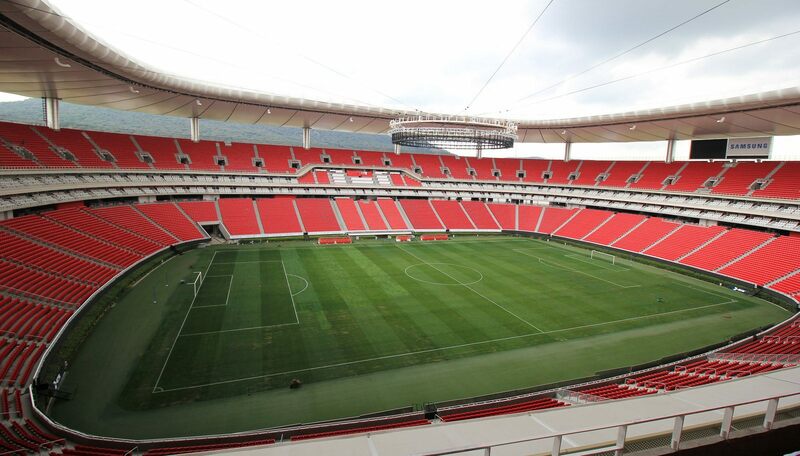 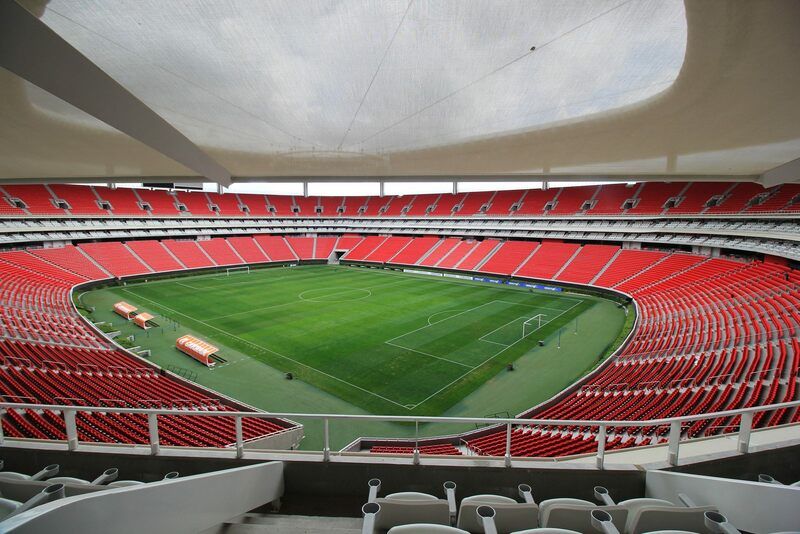 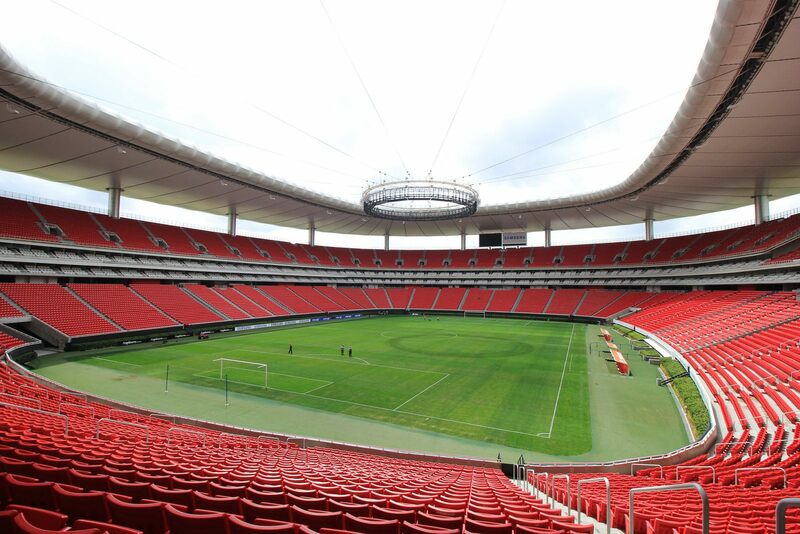 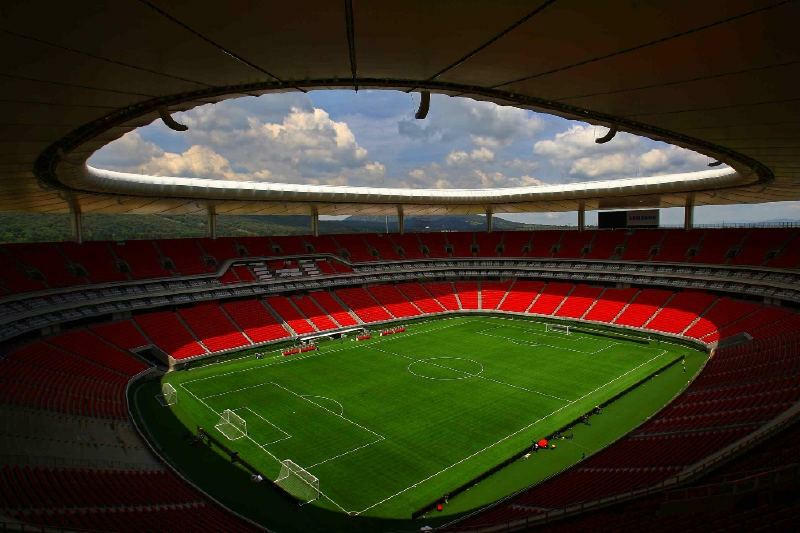 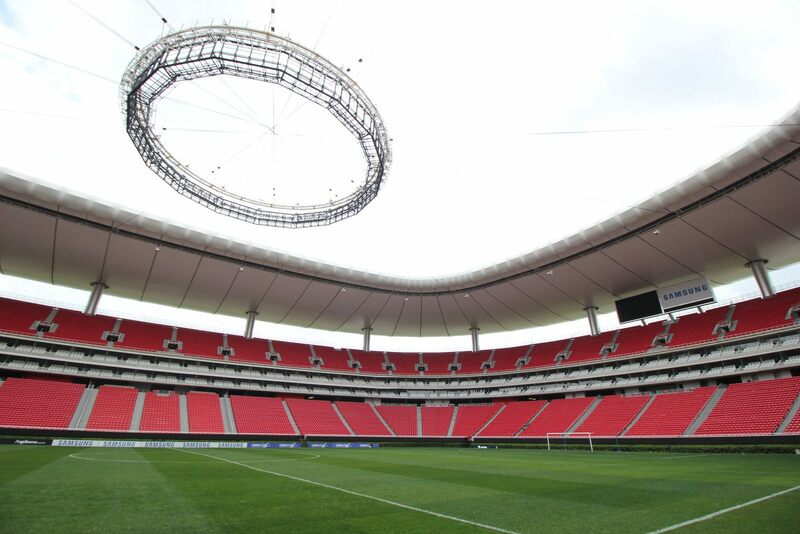 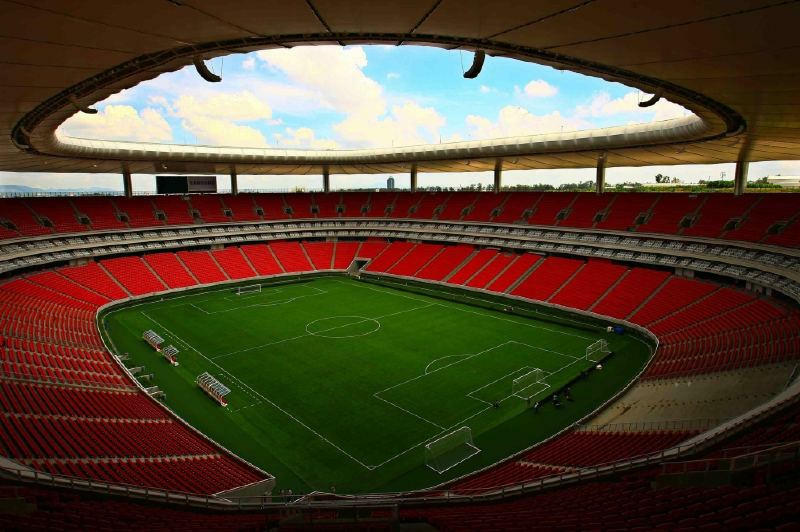 It’s used by Chivas since June 2010 for all home games and in 2011 it was also the major venue of Panamerican Games. 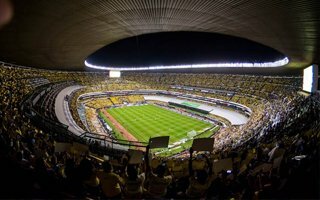 The Mexican national team will not play their last 2018 qualifying match at Estadio Azteca after poor attendance records in all previous fixtures. 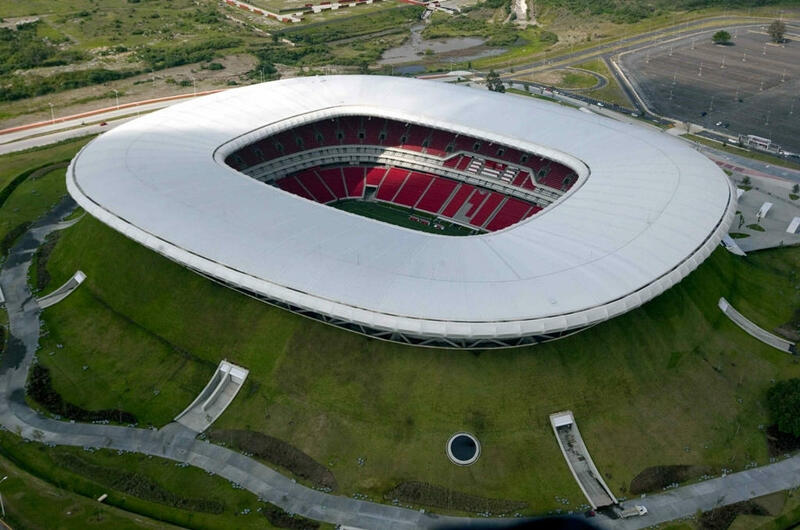 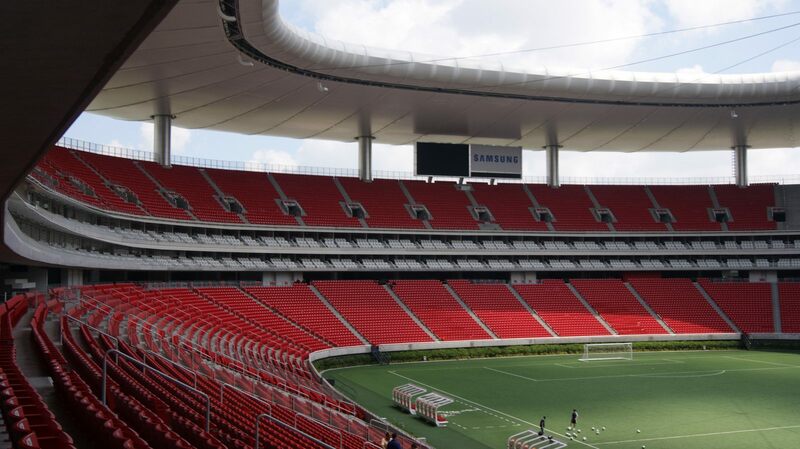 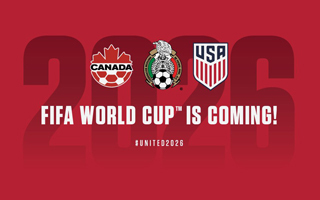 The game will be played at one of two most modern stadiums in Mexico instead.